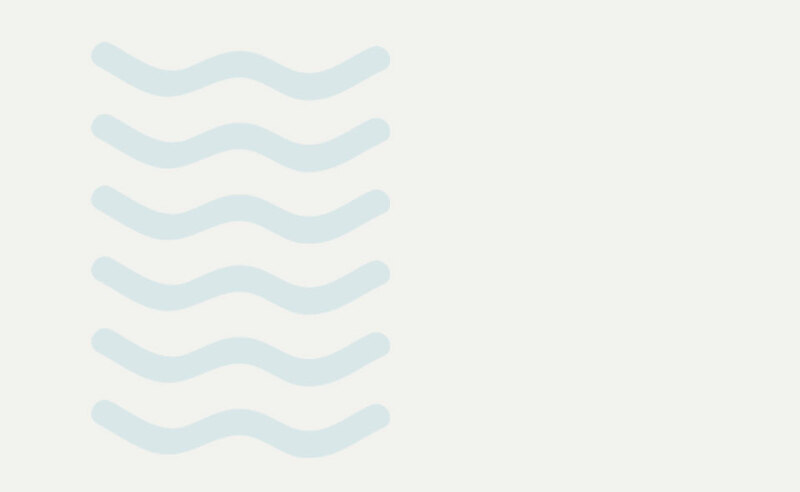 3 Year Submerged Warranty, Fungal Resistant. 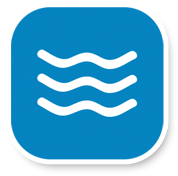 Our Water Flecks® system is comprised of a U.V. 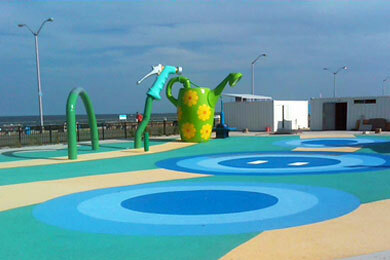 resistant Thermo-Plastic rubber mixed with a two-part aliphatic chlorine resistant urethane designed to withstand long-term exposure in chlorinated water. 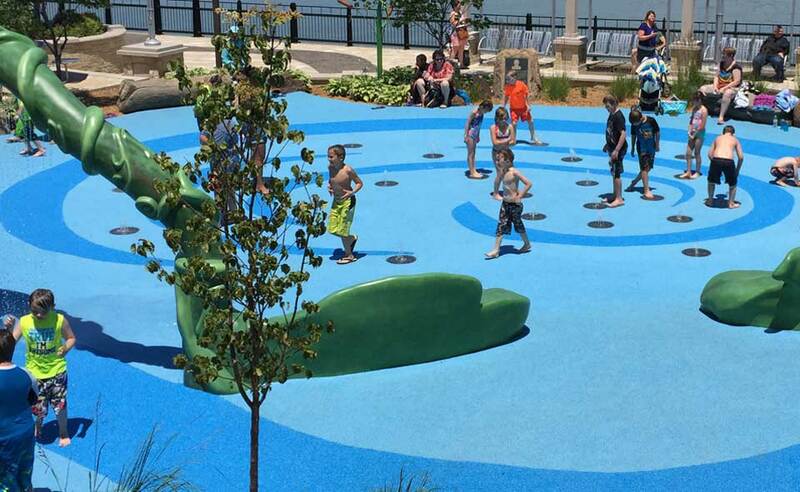 Water Flecks® system is installed as a seamless safety rubber system alone over concrete or with our patented EnviroFlecks® system (proprietary foam with high energy absorbing qualities) as an underlayment to reduce the risk of injury. 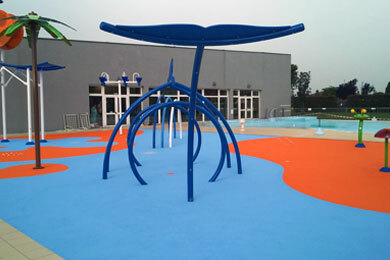 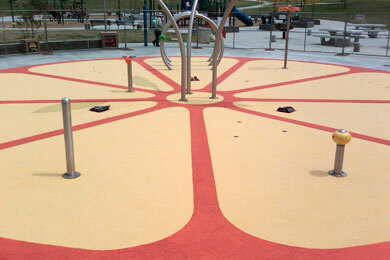 Due to its unique non-skid properties when wet, Water Flecks® is the ideal surface for wet play areas, Splash Pads and Aquatic Areas.